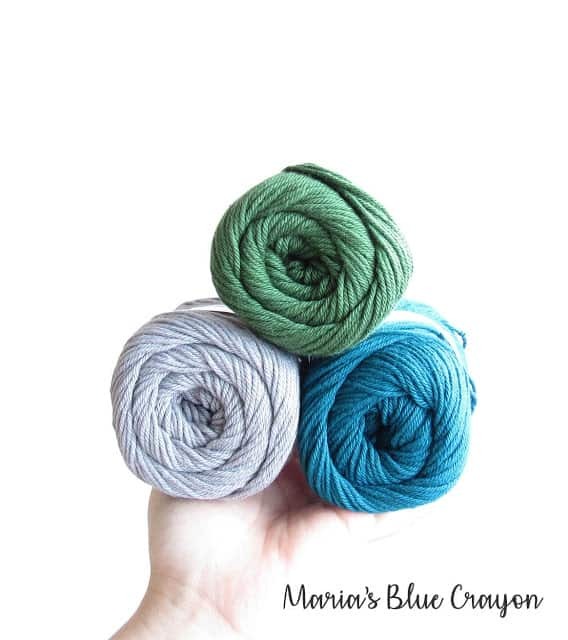 With spring here and summer months coming ahead, cotton yarns are my go to for crocheting! I wanted to try out the Dishie Yarn from Knit Picks, and to sum it up – it’s great! Read ahead for the review as well as a free PDF pattern for a dog mat that I made for our new puppy. 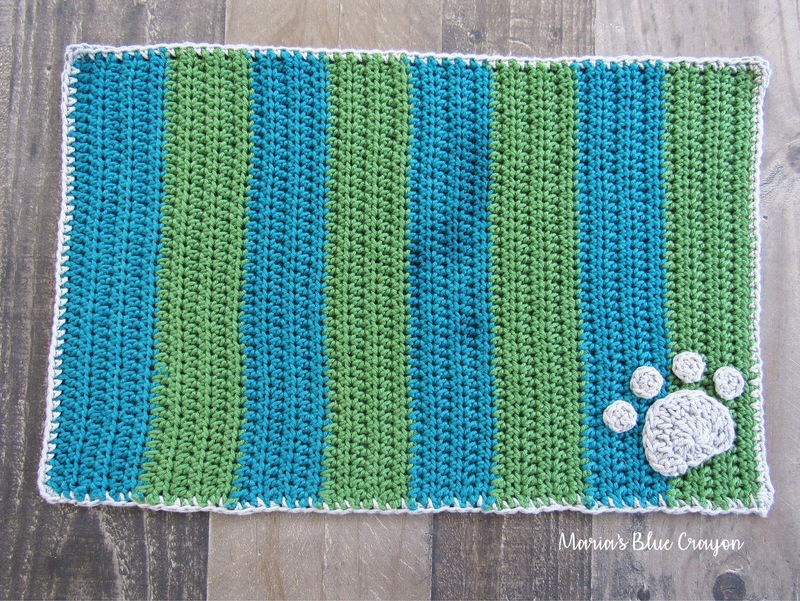 When I decided to try the Dishie cotton yarn from Knit Picks, I wanted to make something that most people will use this yarn for – dish cloths. I whipped up a super simple dish cloth that I could use for a few weeks and throw in the washer/dryer to get a good feel for how this yarn would hold up. I must say – it’s fabulous! I can’t say I’ve worked with too many cotton yarns in my day, but the two other cotton yarns I have worked with quite often are Lily’s Sugar n’ Cream and Hobby Lobby’s I Love This Cotton! I would say Knit Picks Dishie yarn is somewhere in the middle. It’s not quite as thick as the Sugar n’ Cream and it is a bit softer and more pleasing to work with. Compared to Hobby Lobby’s I Love This Cotton!, it’s not as soft and doesn’t have that finished shine to it. It definitely has more of a ‘raw cotton’ feel to it. I would definitely choose I Love This Cotton! for a garment versus the Dishie yarn, but I think the dishie yarn is suppose to be more practical for dish cloths anyway – hence the name “dishie”! One of my favorite things about this yarn is that it comes in vibrant colors (29 beautiful colors, to be exact!) and they don’t bleed! I remember using a very vibrant, variegated Lily Sugar n’ Cream and it stained my hands while working with it. It wasn’t very nice to work with. As you can see, I chose a vibrant teal color to try out and it did not bleed and held up well through the washer and dryer! I used this wash cloth for 3 weeks in my kitchen. Personally, I don’t use it to wash my dishes. I use dish cloths to clean my counter tops and stove when I’m cleaning up in the kitchen every evening. I then wash it out in the sink and throw it in the laundry every time I am doing laundry (which is about every 3 days or so). I have to say, through all the washing and cleaning, it’s held up great! No fuzzing or pilling. Even the color has held up! A lot of my dish cloths I have made from other cotton yarns have faded in color after the first or second wash but the color on the Dishie yarn is really stickin’ it out! I give this yarn two thumbs up, especially for wash cloths. I definitely recommend trying out the Dishie Cotton yarn from Knit Picks! You can buy some here. 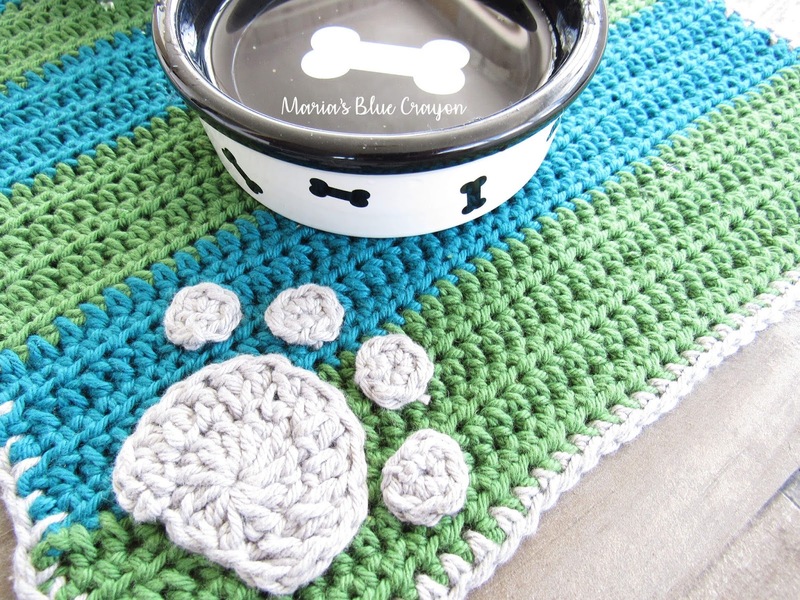 This is a really easy pattern and you can easily adjust it to the size you need, if you need a larger mat! You could also make it larger and use it as a rug/door mat if you’d like! 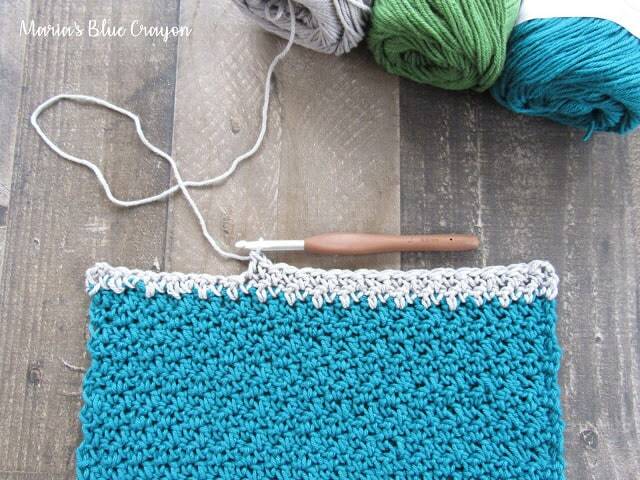 Attach Color C and single crochet evenly around the edge, making 3 single crochet in each corner. That completes the main portion of the paw. Sew paw print onto mat in bottom right corner. 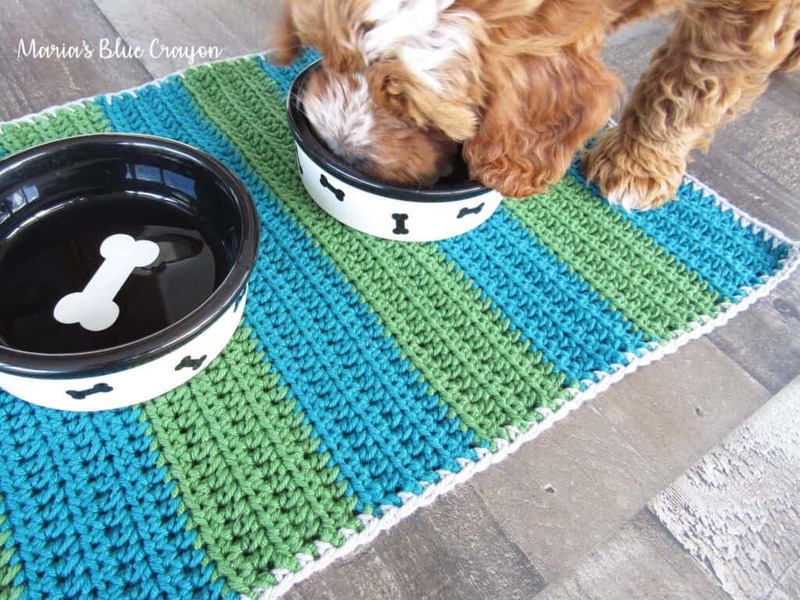 I appreciate the review on the yarn and love the doggie mat pattern, and if I had a dog I would def use this pattern! It is beatuful! Wonderful! I have a question. My dog has five toes on her paws. Do I make all five toes the same size?